Frontline SMS reviews how new data about usage from the mobile operator representatives GSMA lends empirical evidence to some important ICT4D home truths. Despite growing uptake the market is not yet saturated and its fragmented nature continues to demand SMS and mobile platforms that focus on multi-platform broad capability. Abu Erdan is a website and mobile app designed by centrivision to allow medium sized farm owners to practise precision farming. Much like the Indigo funded iCow in Kenya, the app will assist farmers by furnishing them with the information they need to farm more effectively. The app will assist with information about when to plant, harvest, treat for pests, increase irrigation and store seed. 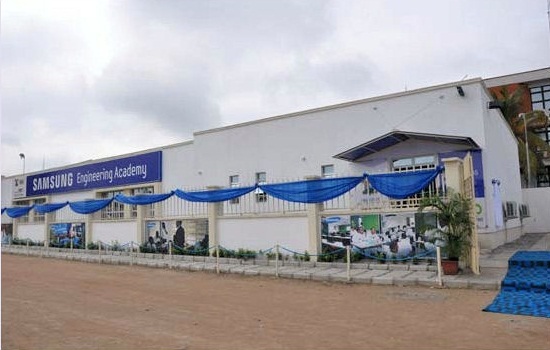 The first Samsung Academy in West Africa is based in Nigeria. Aligned with secondary schools, its one year course will lead to an internship and aims to give young people skills for wealth creation. This Nairobi based hub will support up to 70 ventures a year. Supported by the World Bank and Danish and British Aid it is touted as the first technology hub of this kind in existence, offering office space, technology, training and business services all in one roof and all dedicated to projects looking to tackle climate change. Facebook users continue to grow, with Egypt, Nigeria and South Africa leading the charge. DEMO conferences have been around for 22 years and have a reputation for consistently identifying the next cutting edge developments in technology. This year, DEMO comes to Africa for the first time. 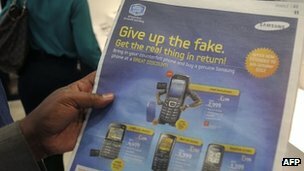 Fake mobiles are a huge problem for operators in Kenya and across Africa. The government co-ordinated a mass turn-off of phones this month aimed at reducing the number of fake handsets on the market. With public advertising and an SMS service to check your own phone the scheme hoped to cause as little disruption as possible. Despite this many people, who had confirmed, through IMEI numbers, that their handset was legitimate still found themselves without a working mobile after the switch-off.